Citation report on Google Scholar. Bio: Eduardo A. Silva received his degree in Metallurgical and Materials Science Engineering from University of Porto, Portugal, in 2001. That same year, he was awarded a scholarship through the Gulbenkian foundation to do his PhD in Biomedicine, being the first engineer to be awarded this scholarship. 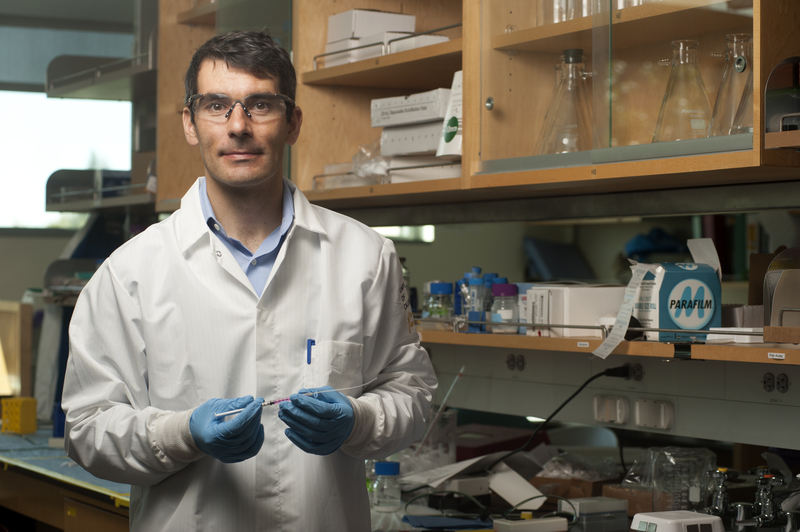 He received his PhD in Engineering Sciences: Bioengineering in 2008, working in the laboratory of David Mooney, both at the University of Michigan and at Harvard University. After the completion of his PhD, Eduardo was one of the first individuals to be awarded a Wyss Technology Development fellowship. The Wyss Institute for Biologically Inspired Engineering selected fellows on the basis of their academic achievements and their technology development potential in the field of Biologically Inspired Engineering. His research plans relative to the Wyss Enabling Technology Platform were to develop new injectable polymeric systems, designed at the nanoscale level with multifactorial biological valencies, capable of recruiting specialized subsets of progenitor and mature cells in order to drive and induce angiogenesis and further guide new tissue regeneration. In Nov. 2011, Eduardo was appointed as Assistant Professor at the Department of Biomedical Engineering at the University of California, Davis.